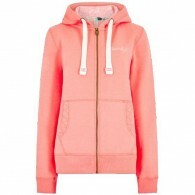 In a lovely delicate colour, the Weird Fish Asbury Full Zip Hoodie in Orchid pink will make a most attractive addition to your summer wardrobe. Crafted from a lightweight blend of cotton and polyester, it is perfect for wear alone on a breezy summer’s day, or layered under your favourite jacket when.. 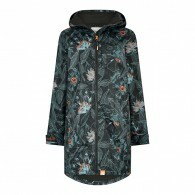 Choose the new Cosmo Printed Waterproof Jacket so, whatever your plans are a downpour won't dampen your day. The Cosmo is lightweight, breathable, and fully waterproof making it an extra layer you can rely on. The Cosmo jacket comes in 3 exclusive Weird Fish prints and features: 3 piece detach.. 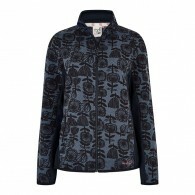 Introducing the Filippa printed full zip soft knit jacket with a beautifully subtle floral print pattern throughout. 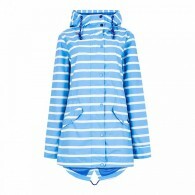 This fun, stylish jacket, with its lightweight construction is super-soft without being overly bulky, and the convenience of a full zip means you can wear it open when the temperature..
Showerproof Attached adjustable hood 2 hand pockets The Weird Fish Ladies Antonia is a showerproof jacket with an all over striped print, ideal for summer walks in the great outdoors. A WR (Water Resistant) finish provides protection in light rain and showers. 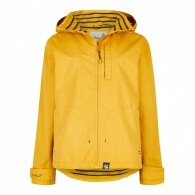 The water resistant co..
Be ready when a downpour strikes with the new Lulu Waterproof Jacket. This versatile block colour jacket is breathable and fully waterproof so the weather won't be getting in the way of your plans. The Lulu Waterproof jacket is packed full of practical design features including: Left hand s..
Casual dressing has never been so easy. 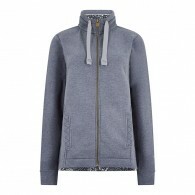 Choose our new Marley print trim sweatshirt to compliment and complete your ultimate laid back look. We've added a unique Weird Fish design to the lining and other little details that make this so much more than just a sweatshirt. These features include: ..